Air Mattress, or Magazine Stand? 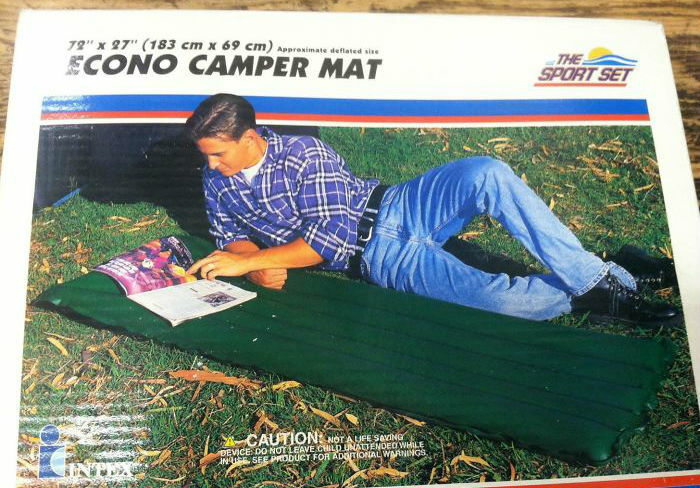 This camping air mattress may have been a great product, but the marketing team obviously had no idea that you’re supposed to lay on it — not next to it. Hopefully that decision wasn’t made because it wouldn’t actually support his weight.